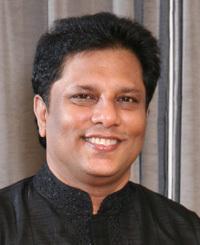 The Mount Lavinia Magistrate today granted permission to the Criminal Investigation Division (CID) to detain and question the Army Intelligence Officer in connection to the murder of Sunday Leader founding editor Lasantha Wickrematunge. The Warrant Officer who is attached to the Army Intelligence Unit was arrested by the CID last night. The CID today requested the Magistrate to grant permission to detain and question the officer over his involvement in the murder. The officer is also expected to be produced before an identification parade. In February, police headquarters released the artist’s impression of two suspects in connection with the murder of Wickrematunge. The sketches were developed based on the witness statements given to the police in connection to the killing. In May, Mount Lavinia Magistrate Mohammed Sahabdeen ordered the Army to hand over all information and other documents in connection to the assassination of Wickrematunge to the CID. The order was issued to the Army Commander, after the CID presented several facts during a court hearing. Several vital documents in relation to the investigation was in the possession of the Army Intelligence Unit. Why not put Sarath Fonseka in charge of this investigation? I’m sure he will come up with enough of those “vital documents” that have so far been blocked by the “Army Intelligence” from seeing the light of day. Time to stop the dilly-dallying around and put this farce to an end with charges against the perpetrators followed up with a quick ‘due process’ and put the guilty away for good. This is not a good idea. He may be the culprit. safe guards ‘. Be prepared for any eventualities , before hand, as people from all parts of the country should feel that the country and the people are in the safe hands. Before placing Field Marshall Sarath Fonseka at the helm again, he should be EXONERATED from the murder of Lasantha Wickrematuga. 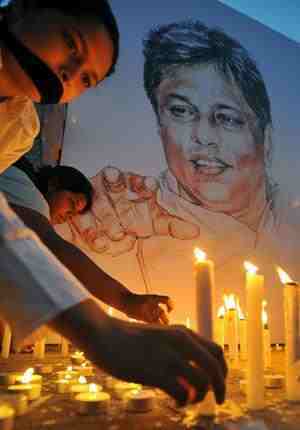 Lasantha was murdered under his watch and he has to help in the investigations and ensure that the culprits are brought before the law, and he had nothing to do with this dastardly act. Till then he will be the pivot of suspicion. Yes, go after the actual killers. But spare Goat Rajapaksa who gave the orders to kill. This government has become a joke. Who would dare touch Goat and Mahinda? These Rajapaksa killers are still walking free in this country……..what circus. SF’s wisdom has spoken.SF is “hariyata hari”. ” Ra family members all are “mini maruvo “. No remand sent the straight to the prison. Who openly said that ” I wanted the Sunday Leader to be closed. That’s why I sued it for 1 billion ” ? Who said that SF is a liar, traitor and should be hung or something like that ? Who claimed in the bbc hard talk that his army ( SL army ) is the most disciplined army in the world ? I totally agree that SF should be in charge of security, he is very smart and a very strict man, no nonsense with him, that’s how he won the war. The country desperately need to get rid of the cold blooded murderes….the worst crime is the former government VVIP’s gave the order which is double murder so, we are pleading with president sirisena to act fast. I think all these cold blooded murders should be properly investigated. Kadirgama’s death was not properly investigated and the country took the govt word which has been a lie in most if not all high profile cases. LTTE was the easiest scapegoat the govt used and people were more than happy to accept it, now that people see things for what they are I think the country owes it to the Kadirgama family to have a proper investigation. handle Law and Order, his disclosures can shock not only SL but the UNO too. It is a pity that Govt. cannot find a person without blemish or is it that the govt.does not want to dig it’s own grave by appointing a person or persons who will do justice to the Nation.People who really understand and thirst for Good Governance can vouch for the return of present two Leaders for life if only they bring solace to the grieving people.They did not elect this Govt.for their bread and butter but seeking truth and justice.That is the mandate and if it is not fulfilled they may find themselves in the forgotten limbo.